When a scaled-down version of the Mekons toured Scotland last year, they Shanghaied pal Robbie Fulks to fill in for the missing Tom Greenhalgh. No more perfect companion could have been stuffed into the hold, as Fulks shares the band’s cockeyed view of life and is himself a one-man distillation of what the Meeks have tried to do since about 1985 — fuse roots rock and country with a punk-rock ethos and a madcap sense of humor. Along the way, the Mini Mekons, as they were calling themselves, took to the island of Jura, where sheep and casks of whiskey outnumbered humans, to record a (mostly) acoustic album, their 319th by my count. It is, as might be expected, a really wonderful collaboration. Spiritual kin to 2007’s Natural, which if we recall correctly, also saw the Mekons gather the gang from their hideouts in Chicago and various dives to record a (mostly) acoustic album in the British countryside, Jura features the familiar voices of Jon Langford and Sally Timms, with Rico Bell and Fulks each taking turns before the mikes. With the exception of “Space In Your Face” from 2011’s Ancient And Modern, this is the best music the Meeks have released since 2002’s OOOH (out of our heads) – as fun a collection of sea chanties and folk charmers as is imaginable in the current sorry epoch. The highlight for us on Jura is Robbie Fulks singing Tom Greenhalgh’s parts on the revived “Beaten And Broken,” a song first played by the Mekons during their mid-’80s Fear And Whiskey period, when they single-handedly created alt-country, a genre we take for granted today as having always existed. Oh sure, maybe it started earlier with, say, The Basement Tapes. Or Hank Williams. Or the house band in the Gem Saloon in Deadwood. But just as the Mekons’ first album, The Quality of Mercy Is Strnen, had a jacket showing a monkey just miss being able to type a single line of Shakespeare, the band has always toyed with the concept of what would happen if 100 untrained Brits picked up electric guitars (to quote from the first piece we ever wrote about them, in 1981 in the Soho News.). When the band solidified in 1986 with the lineup more and somewhat less represented here, a buncha leftists from Leeds had paradoxically become the keepers of a peculiar flame — musical remnants of both American and British traditionalism. And on the island of Jura, with acoustic instruments, they still managed to bash around as joyously, weirdly, and beautifully as they did on their legendary live 1987 ROIR cassette Mekons…New York. Three decades hence and then some, we now know the Mekons have become as formidable and long-lasting a force as their contemporaries The Fleshtones, and on Jura, they are purveyors of some of the most beautiful modern folks songs to be found on record this year. So it isn’t a pumpkin head on fire, as that first Sonic Youth album cover showed it. We still found this scarecrow as scary as anything out of True Detective, albeit found on the top of Sharon Mountain in Connecticut, not the Louisiana bayou. Leica M, 50mm APO-Summicron-Asph. Just as he surprised us in 2013 with the release of The Next Day, we were stunned last week to hear the first track off of Blackstar, to be released on January 8th, Bowie’s 69th birthday. Imagine if Station To Station were recorded with Weather Report, or if Young Americans had Wayne Shorter, not David Sanborn, on sax, and you’ll get a sense of what the amazing 9:57 long title track sounds like. “Darkstar” is a beautifully contained suite broken into a prelude and a soulful back half, with Bowie’s voice having never sounding better. With Tony Visconti producing, the band in the studio is essentially the same set of musicians Donny McCaslin used on his 2012 Casting For Gravity, and starting with McCaslin himself on woodwinds, these are as flexible a set of jazz fusion musicians as could possibly exist in the current century. We cannot stop listening to it, and cannot wait until the album is released in the new year. For 60 years, Mark Cohen has wandered through the streets of small cities in Eastern Pennsylvania, Leica and flash attachment in hand, surprising people for 1/250th of a second as he captured — ah, the things he captured: knees, torsos, parts of faces, the very souls of ordinary folk, recorded for posterity as what and who they are. Each picture “tough,” in the way that Garry Winogrand and Joel Meyerowitz used the word, Cohen is no anonymous street photographer in a big city. He didn’t just take his picture and move on. Instead, at the same time he actually earned his living taking studio shots of children and couples, out on the same streets his clients walked he invaded peoples’ spaces and got in their faces and emerged with perhaps the most remarkable and distinctive oeuvre of any American street photographer of the last half century. And now this work is collected in a wonderful career retrospective, each image laid out by hand by Cohen, so you can see the patterns that all along he’s seen — three pieces of bread in a puddle/three fingers gripping a flat-top head; clothes lines across different backyards; a young girl’s eyes from below as she hangs from a swing/the hand of a woman protecting her breast from the intrusion of the camera. Frame (University of Texas Press, $85.00) shows Cohen’s work in color and mostly black and white, in Europe and Mexico but mostly Wilkes-Barre and Scranton. It builds on his previous photo books such as Grim Street and answers any doubts about whether Cohen is a genius of the captured fragment. While videos of Cohen at work show the way he stalks the streets and alleyways of Wilkes-Barre, coming upon local citizens and shocking the bejesus out of them with his camera and flash, there is a distinction that is necessary to make, though hard to convey, between Cohen and a photographer like Bruce Gilden. While they use similar techniques, there’s a humanity found in Cohen’s work that we find missing in Gilden’s, an aesthetic in search of beauty, not harshness. For the aspiring street photographer in your life, this is the holiday photo book you should buy, if only to puzzle over how someone could extract such art, so bravely, from the confines the small community he lived in all these years. Over a long career, Dave Heath has been a photographer’s photographer, known to the cognoscenti for his fine eye and poignant approach in capturing emotion. His technique is in many ways the opposite of a photographer like Cohen — a significant percentage of the images captured in Multitude, Solitude (Yale University Press, $65.00) were taken with a telephoto lens, that face in the distant crowd isolated and captured from afar. Best known for his book A Dialogue With Solitude, which came out in 1961, Heath is getting renewed appreciation due to the work of his gallerist, Howard Greenberg, and the Nelson-Atkins Museum of Art, which is responsible for organizing the retrospective collected in this book. We like Heath’s work, and appreciate his story, wherein a life of hardship made him attuned to the vulnerability of the people he took pictures of, often without them even knowing. Magnum photographer Hiroji Kubota has a career retrospective out entitled, appropriately, Hiroji Kubota Photographer (Aperture, $63.75). It reveals him to have had a Zelig-like career — working for Elliott Erwitt, taking pictures of anti-war demonstrations in the U.S., the Civil Rights movement, Phnom Penh just before the Khmer Rouge takeover, China under Mao, North Korea over many years. The work, like the personality revealed in the interview that is interspersed with the images, is lyrical and at the same time very direct. While we had never focused on Kubota before Aperture’s recent excerpt from the interview in the book, of course we, like you, had seen the work without truly appreciating a single sensibility was responsible for so many famous images. Kubota is one of the most remarkable documentary photographers of the age, and you should check out this comprehensive and gorgeous book, which his work so clearly deserves. Years Later, Will Thousands Claim They Were At Wand’s Show At The Black Cat? About three times as many people claim they were at Nirvana’s winter ’91 show at the old 930 Club as could possibly have fit in that skanky room. 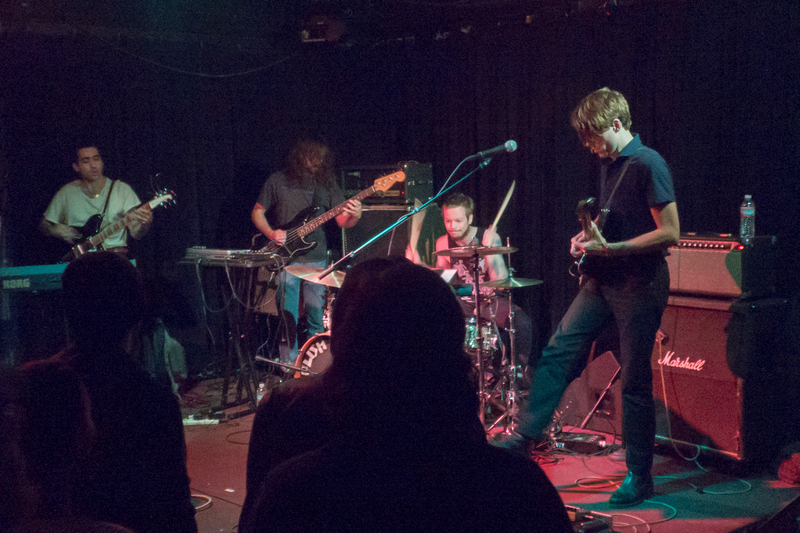 Last night, not too many of us were privileged to have been in the backroom of the Black Cat to see Wand, a band that thunders every bit as much as their precursors, while sharing their genius for melody and that genre-busting tightrope walk between metal and pop. The 70-minute show was at times transcendent. A year is a long time in pop music, but was it really just last fall that we saw Wand open for Ty Segall, leading us to discover their remarkably accomplished debut, Ganglion Reef? Since then — all in calendar year 2015 — the band has released two new albums, each better than the last one, a progression of talent that shows great things to come. The band is now a foursome, so that Cory Hanson has extra help on keyboards and guitar. As the singer and principal guitarist, the clean-cut Hanson cuts a fascinating figure. It’s fully to be expected to find him on a stage, but he looks less like someone who can ply the line between noise-rock and Power Pop than someone you’d see on a tech conference panel being grilled by Kara Swisher on why his start-up’s billion-dollar valuation is justified. Wand plays pretty melodies that stick in your head and then, on a dime, they pivot to chest-jarring fuzz-metal. As the bandleader, Hanson seems as if at any moment he could turn and walk through a different door, and you’d find yourself listening to music in a completely different tempo, volume, and level of intensity. But no take on Wand is complete without mentioning that Evan Burrows is a one-man nuclear power plant piston-pounding the drums. If drummers had world rankings like tennis players do, Burrows would be that phenom that went from number 128 to the Top 5 in a single season. This is evident on the records, manifest live. We have already stated our dilemma in determining which of Wand’s 2015 records will make Tulip Frenzy’s 2015 Top 10 List. And honestly, we wish we could call 1000 Days and Golem a double album and be done with it. But something else came to mind last night when watching this intimate show in which Wand just detonated on stage. Hanson reportedly was Mikal Cronin’s roommate in LA, and Ty Segall has taken the younger tyro under his ample wing. 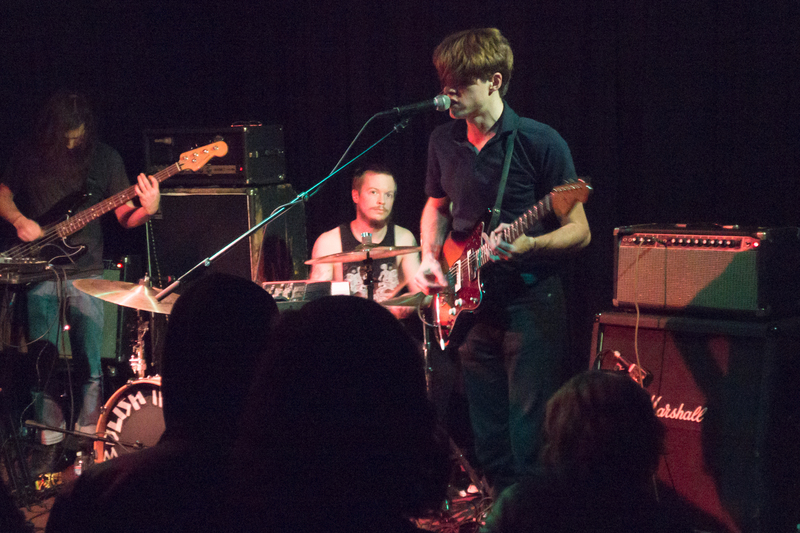 In the summer of 2014, Tulip Frenzy declared that we live in a Golden Age of Rock’n’Roll due to the output and sensibilities of Ty, Thee Oh Sees’ John Dwyer, and White Fence’s Tim Presley, and last’s night show by Wand simply confirmed the thesis. But what also was clear that any listing of West Coast bands and figures leading us to this Periclean age has to include Wand and Cory Hanson. Those of us who were privileged to be at the Black Cat last night know this. And we fully expect that a decade from now, hundreds of DC hipsters will claim they were there too, and have known this all the while. It’s a lot to work through, six CDs of alternative takes from those fourteen months in which Dylan recorded his three early masterpieces. But if you are disciplined, and create in a more or less chronological order the songs as they were recorded between January 1965 and February ’66, a really pleasing playlist takes shape. As a public service, we offer it below. “I’ll Keep It With Mine” (Take 1, Remake) T.C.E. “She Belongs To Me” (Take 1, Remake) T.C.E. “Outlaw Blues” (Take 2, Alternate Take) T.C.E. “On The Road Again” (Take 4, Alternate Take) T.C.E. “It Takes A Lot To Laugh, It Takes A Train To Cry” (Take 3, Remake) T.C.E. “Sitting On A Barbed Wire Fence” (Take 2), T.C.E. “Tombstone Blues” (Take 9) T.C.E. “Highway 61 Revisited” (Take 5), T.C.E. “Leopard Skin Pill-Box Hat” (Take 3), T.C.E. “Stuck Inside Of Mobile With The Memphis Blues Again” (Take 14), T.C.E. “Absolutely Sweet Marie” (Take 1, Alternate), T.C.E. “Temporary Like Achilles” (Take 3), T.C.E. “Obviously Five Believers” (Take 3), T.C.E. Random Notes: As you can see, there’s nothing here from the official Bringing It All Back Home, and we think this is for two reasons. One, that album seems to have comprised the versions of the songs with the highest torque, and on The Cutting Edge, the alternative versions, possibly less perfect performances than what’s on the official album, somehow come across slightly less caffeinated. Second, a pair of classic songs from the period — “Subterranean Homesick Blues” and “Love Minus Zero/No Limit” — somehow didn’t seem to fit with the playlist as a whole; we had ’em on there, but took them off. You may try a different approach. Finally, we should say, just because we went with the previously released versions of some songs, doesn’t mean what’s on The Cutting Edge is not worth listening to. It’s just that some songs were on the official releases for all the right reasons — they’re better. 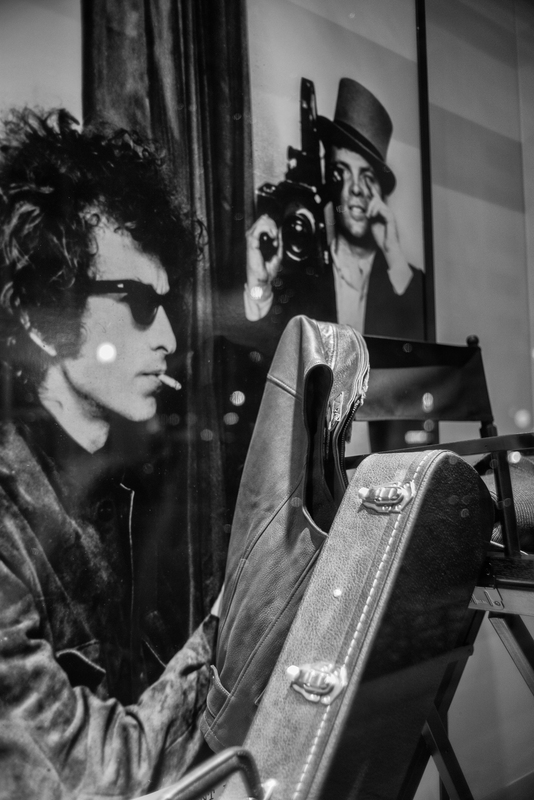 We should note that at least two songs here — “Sitting On A Barbed Wire Fence” and “Highway 61 Revisited” — have at least as good versions out there on various editions of The Bootleg Series. We just happened to really like these versions on The Cutting Edge. You are currently browsing the Tulip Frenzy blog archives for November, 2015.